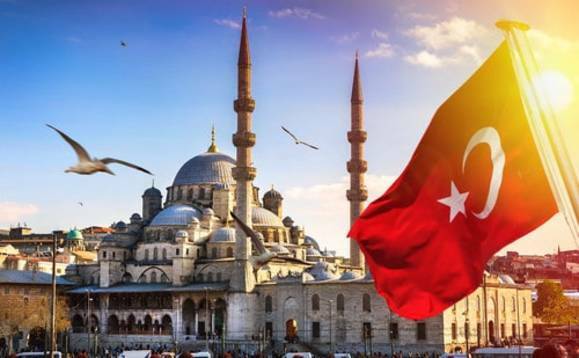 Rob Drijkoningen assesses the state of the Turkish economy, and identifies a rare bright spot for foreign investors. The people of Turkey recently re-elected Recep Tayyip Erdoğan as President for another five years, while delivering a parliamentary majority for the alliance led by his Justice and Development Party (AKP). The extent of President Erdoğan’s commitment to responsible monetary and fiscal policies will be a key element in Turkey’s economic performance. Concerns the economy is overheating amid a broader sell-off across emerging markets have led to the lira weakening by 22% against the dollar in the first half of the year. But the newly powerful Erdoğan is far from the whole story. Last year, when the emerging world was growing fast, Turkey’s 7% real growth rate stood out. It has remained strong this year, at 7.4% in the first quarter, driven very much by accommodative monetary and fiscal policies which boosted credit growth, consumption, and the real estate and construction sectors. This is all in line with Erdoğan’s push for mega-projects ahead of the centennial of the Republic in 2023. However, it is at odds with the usual Central and Eastern European playbook of boosting value-add in export sectors, which has left Turkey with significant macroeconomic imbalances. The current account deficit has continued to widen, partly due to higher oil prices, as Turkey is a large net oil importer. It is also partly because foreign direct investment remains low, covering just 15-20% of the current account deficit – versus an average of 80% in the rest of Central and Eastern Europe. These imbalances have strained the investment environment, fuelling the lira sell-off and forcing the central bank to hike rates by five percentage points in a fight to curb inflation. The official inflation target is 5%, but the Consumer Price Index for June showed a rate of 15.4%, the highest since the introduction of a new method for measuring inflation in 2004. Current expectations are for a peak as high as 17% and Turkey’s Producer Price Index already shows inflation at 24%. In short, Turkey’s economy will have to adjust through a significant slowdown, with domestic demand growth likely halving from last year. To do so successfully, the central bank will need more space than it has been allowed recently. Before recent hikes, its ability to respond was impaired by persistent political interference – Erdoğan takes the unorthodox view higher interest rates cause higher inflation rather than the other way around, while outgoing Prime Minister Binali Yıldırım reiterated ‘lowering interest rates and lowering inflation’ would be the government’s top priorities. Nonetheless, for all the challenges, Turkey’s starting point appears strong. Public debt is only 25% of GDP and the budget deficit was just 2.1% of GDP last year. While there is a material risk of a rise in non-performing loans given the weak lira and the pending slowdown, on the whole, Turkey’s banking sector appears healthy and liquid. Its economy stands out among countries with external imbalances exposed to higher global borrowing costs. Market discipline as well as large foreign-exchange liabilities in the non-financial corporate sector serve as an effective – check on ultra-pro-growth monetary and fiscal policies. Turkey also has a number of structural strengths, including strong demographics and a vibrant and competitive private sector, which provides key links in the European supply chain. We maintain a positive view on both hard currency and local currency bonds. On the hard currency side, we see Turkish spreads capturing near-term political and geopolitical risks. The bonds trade in line with B+ credits while Turkey is currently rated BB, which in our view does not fully take into account the balance of risks. In local bonds, we believe the real yield compensation in the belly of the curve captures near-term inflation uncertainty. We also think the central bank will keep monetary policy tight to re-establish some credibility. Its recent tightening is likely to cause a significant slowdown in the second half of this year. Should the government refrain from another fiscal impulse – it has traditionally been fiscally responsible and needs to adjust after loosening ahead of the election – we believe local-currency yields offer potential value. However, we remain cautious on the Turkish lira, as we anticipate further vulnerability to headlines around the new cabinet and potential hiccups in communication.